A boy has been arrested and a stolen car recovered in connection with a carjacking in Chadderton earlier this week which saw a 79 year old women dragged across a carpark. Just after 10:20pm last night, police from GMP’s Specialist Operations Branch spotted what they believed to be a stolen car travelling on Park Road in Oldham and signalled for the vehicle to pull over. The driver did not comply and during the pursuit, the suspected stolen vehicle was involved in a minor collision with a stationary car on Abbey Hills Road, which left a woman who was inside with non-serious injuries. The pursuit continued before the offending car stopped on Neild Street and the four occupants jumped out and ran off. As the four jumped out of the car, a quantity of what is believed to be Class A drugs was thrown aside. Officers gave chase and were assisted by the police helicopter in an attempt to locate the offenders. A 17-year-old boy was arrested on Halliwell Avenue a short time later on suspicion of robbery and dangerous driving.He remains in custody for questioning. The recovered car has now been confirmed to be that which belongs to 79-year-old Beryl Allsop, who had her Vauxhall Astra stolen in the car park of Morrisons on Hollinwood Avenue on Tuesday . Beryl was approached by a man who grabbed her keys before stealing the car. 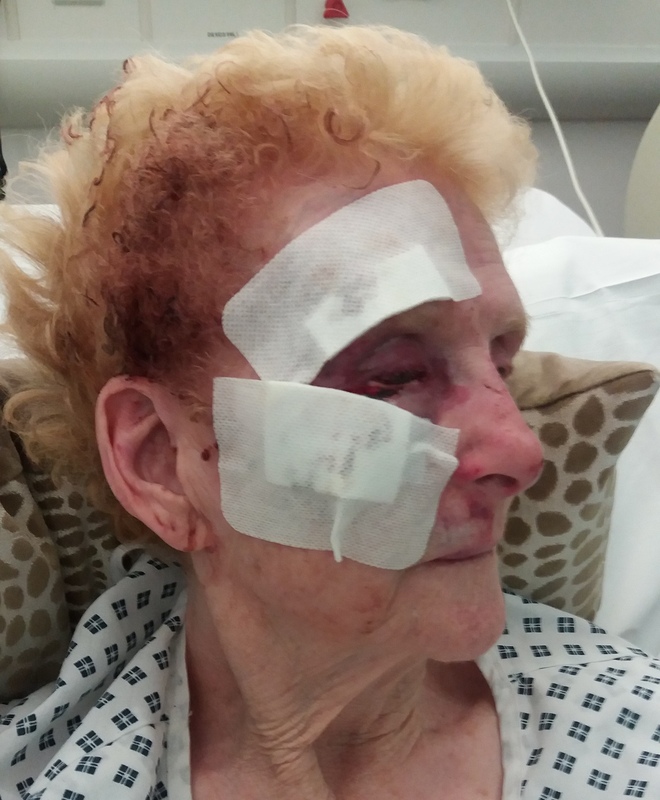 As the offender drove away, she was dragged along with the car causing serious injuries to her face and head. She remains in hospital for treatment. Detective Sergeant Alex Wilkinson, of GMP’s Oldham borough, said: “We have been following numerous lines of enquiry since Beryl’s car was stolen and thankfully we have now been able to recover her car. “We currently have one person in custody in relation to the robbery and he will be questioned by detectives later today but I want to stress that our enquiries very much remain ongoing. “Since this incident happened we have had an overwhelming response from the public and I want to urge people to please continue to come forward with information.